The Large Fluted Plaster coving is very popular in all properties especially period properties. Whilst this plaster coving design emerged in the regency period before the Victorian era, it has remained popular ever since. 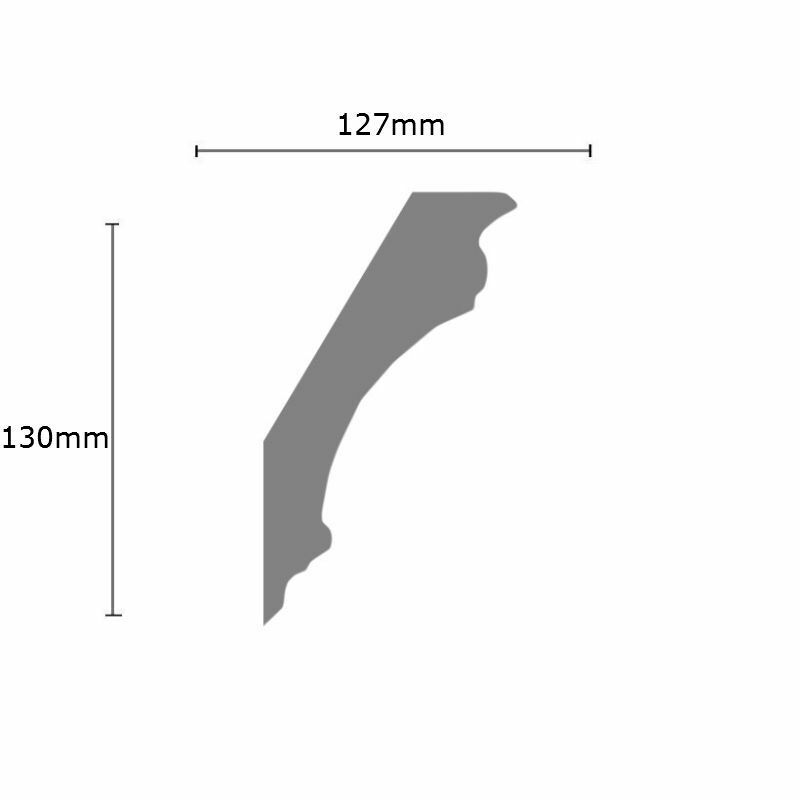 This coving has a projection of 127mm (5 inches) and a drop of 130mm (5 1/8 inches).